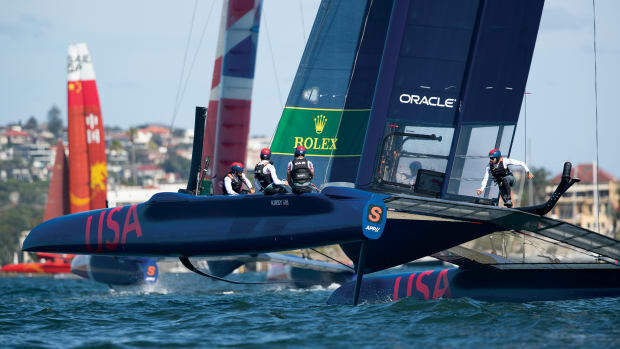 Bigger isn’t always better, especially when it comes to sailing. 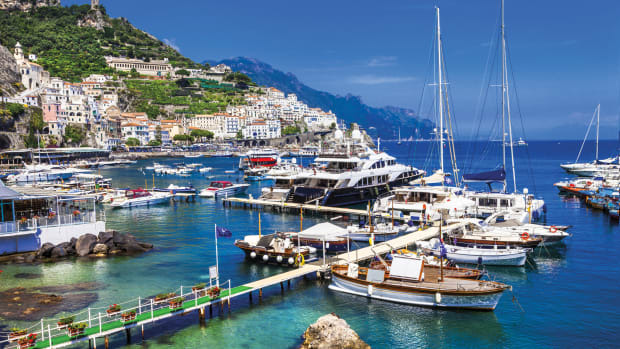 In fact, these sailors from all over the U.S.—some who have downsized from larger boats throughout the years and some who have only recently started sailing—seek out their next adventure aboard their small boats. Some trailer their daysailers across the nation to explore new inlets while others race competitively or spend their weekends cruising the Chesapeake with family and friends. What attracts these sailors to pocket cruisers is simple: their small boats have the perfect combination of comfort, performance and good looks. Here, sailors share their stories about living large while sailing small. I started sailing in 2004 on a Precision 23 that I purchased at an auction. In 2007, I upgraded to a 2005 Precision 23, Purr’n, named after my cat. I keep Purr’n on Lake Erie in Sandusky, Ohio, and sail around the nearby islands. I chose my boat because it can be both trailered and lived upon, and I was impressed with the quality of the build, its cabin space and its speed. I love that I can sail her singlehanded and beach her. Though she is equipped with a spinnaker for racing, I prefer cruising around islands and anchoring near empty beaches in search of adventure. Eventually, I’d like to trailer Purr’n to the Chesapeake, the ICW or the Florida Keys. 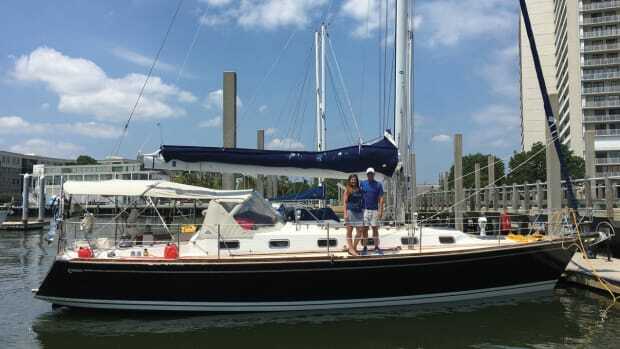 We just bought our Beneteau First 25S, Green’s Peace, in May and keep her on Leadenham Creek on the eastern shore of the Chesapeake, near St. Michaels and Tilghman Island. We hope to retire there someday, but for now we go down to sail her whenever we have free time. Our First 25S performs nicely close-hauled. We’re no expert sailors, and for our purposes—which we like to say are “love, lust and adventure”—Green’s Peace does not disappoint. She has a nice finish and a shoal draft, which is key for the shallow creek near our dock. We never have to worry about what may happen if we leave Green’s Peace docked for extended periods of time. The First 25S has nice accommodations for people like us. At our age, we want to be able to relax and sail wherever we want, and the First 25S allows us to do just that. 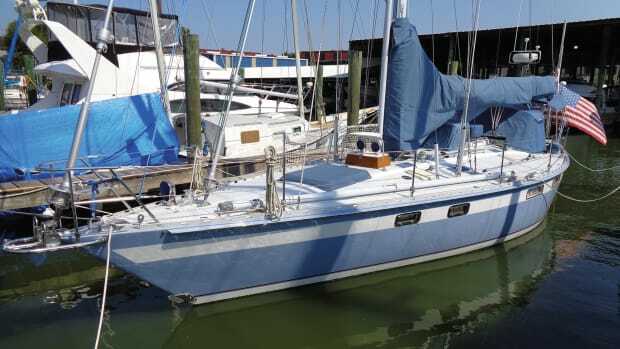 I first saw the Harbor 25 in 2007 when I was in the market to replace a Cal 20 I’d sailed for 35 years—one of seven sailboats I’ve owned over the course of 44 years that were all less than 25ft LOA. The Harbor 25, with its classic good looks, modern hull form and underwater appendages, and impressive interior made my decision an easy one. I named her Cece’s Rival after my wife Cecelia. Since then, I’ve sailed her some 4,300 miles around San Francisco Bay. I usually sail for a day at a time, which is why this easy-to-maintain singlehanded boat is perfect for me. I grew up sailing, but took a five-year hiatus from the sport. After partially retiring, I decided to buy a boat that I could race for fun and cruise comfortably by myself. I ran into a long-time friend, Tom Schock of W.D. Schock Corp., who invited me to sail his newly designed Harbor 25. I was impressed, but wanted something more, so Tom invited me to the factory to see hull #1 of the Harbor 30. After admiring its pretty lines and cruising features, my wife and I bought hull #2. The Harbor 30 has a large comfortable cockpit that is perfect for singlehanding, and a nice-sized galley, head and bunks. We named her Tesoro, Italian for “treasure,” and launched her in Santa Barbara in June 2011. We have raced and cruised aboard Tesoro, visiting the Santa Cruz Islands and Catalina. We’ve found her to be low-maintenance and a joy to sail in any type of weather. For us, she truly is a treasure. I always dreamed of adding my sails to those I watched ply the waters of Lake Huron while growing up. I now live in Texas, and when I saw SAIL’ s write-up of the Catalina 250, it looked like the perfect trailerable design to realize my dream. I spent two years outfitting her, and in the summer of 1998, I kicked off seven years of summer cruises in Michigan—some of the best freshwater cruising the world has to offer. R&R and I have been to Killarney, Drummond Island, Meldrum Bay, Little Current, Presque Isle and Hessel; we’ve ventured east to Mill Lake and west to the Mackinaw Bridge. The memories are sweet, and the Catalina 250 has proven to be a good choice. For just over a year, we’ve had the pleasure of sailing our Com-Pac 27, Koinonia, on the lakes of the Savannah River system. These lakes offer great wide-open sailing, which we couple with occasional trips to Florida for its limitless cruising. 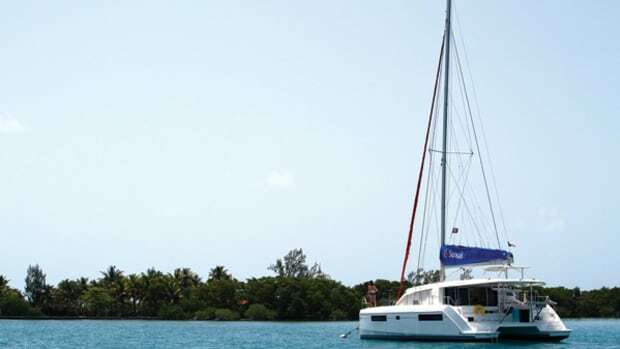 This summer we trailered to Punta Gorda to sail to the Dry Tortugas and the Florida Keys. To get there, we put Koinonia up with a triple-axle trailer and a truck, using our DIY-crafted tabernacle-type mast step, which makes rigging her a breeze. I bought this boat for its ample storage (she has a 50 gal water tank!) salty looks and roomy, well-ventilated accommodations. Her shallow-draft fin keel gets us into shallow anchorages, and asymmetrical spinnaker keeps us sailing in light winds. For us, the Com-Pac 27 is a happy medium of performance and comfort. I’ve been sailing for 41 years and have now owned a Corsair Marine Sprint 750, The Dark Side, for almost seven years. I keep her at the Pontchartrain Yacht Club in Mandeville, Louisiana, and sail throughout the Gulf Coast, trailering her to regattas in Florida and Mississippi. I’ve even ventured as far away as St. Petersburg, Florida, and Buzzards Bay in New England to sail and race. I bought the 750 because she is thrilling to sail, offers great performance, and can be used for weekend cruises. What I love most is that I can rig and launch the boat singlehanded. She’s safe and comfortable to sail and never heels more than 10 degrees. We can race one day and cruise the next, and we are always grinning on board. I’ve been sailing small boats since I was in high school, but Inception is the first sailboat my wife, Shannen, and I have owned. After lots of research, I landed on the Seaward for our family of five. I wanted a solid boat that sails well to windward, has a roomy cabin and a draft of under 30 inches, ideal for our home waters in southwest Florida. Most of the boats we tested seemed too tender, but the Seaward had a solid feel and pointed well with the keel fully extended. Even when I take her out alone as a cold front is passing through and it’s blowing 25-plus, she is dry and solid. She’s also great for the family—my wife feels safe and comfortable, and the kids love when we take her out for a weekend sleepover along the coast. This summer, we’ll take her out in the Keys. With her keel all the way up, I’m sure she will turn some heads as we cruise onto the flats in search of some lobster for dinner. I grew up on Indiana’s largest natural lake, Wawasee, cutting my teeth on Lightnings in the local racing circuit. 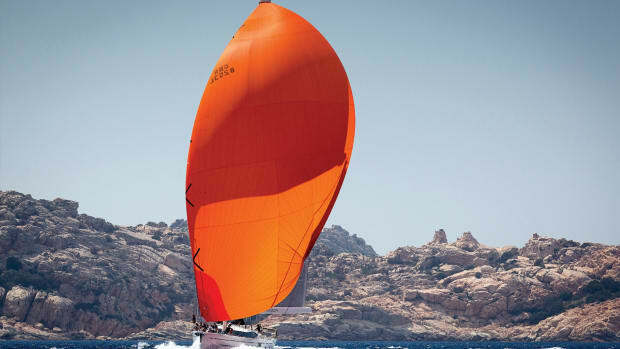 My dream was to sail a larger boat, and in the spring of 2011, I purchased my Hunter 27, Sequel. I chose the Hunter 27 for its well-designed big-boat features, and while she thrives on the inland lake I love, I could also someday use her to ply the Great Lakes. With her broad beam, she is too large to trailer without a permit, so for now I’m saving my pennies and restricting my sailing to Wawasee. But my family seems happy enough “suffering” through warm Indiana evenings always within sight of a shoreline and hailing distance of friends. We have slept seven people on board, although admittedly, it was a bit snug. My young crew is at the age at which the discomfort of cramped conditions are far outweighed by the excitement of grilling on the lake and waking to the slap of water on the hull. With a few cranks of the winches and a motorless departure from an anchorage, we are easily off for paradise aboard our responsive and spry pocket-cruiser. I had a Macgregor 26 in the early ‘90s but always felt it was too big to trailer. At the Annapolis Sailboat Show, the various 19- to 24-foot boats still left us wanting something smaller. The Sage 17 felt “just right” from the start. We picked up our boat, Sage Advice, at Lake Eufaula, Oklahoma, and pulled her behind us in our Toyota Highlander V6 back to Alabama. The combination handled well. We don’t race, but we like the fact that should we choose to, the Sage 17 will be competitive. We like her “traditional” appearance, but also appreciate that she has the latest in modern boatbuilding technology.  Dave Scobie from Sage Marine even spent two days showing us the proper ways to raise and lower the mast, launch and retrieve, rig and tune, and prepare the boat for trailering. My “Sage Advice” for sailing is: keep it small and keep it simple. 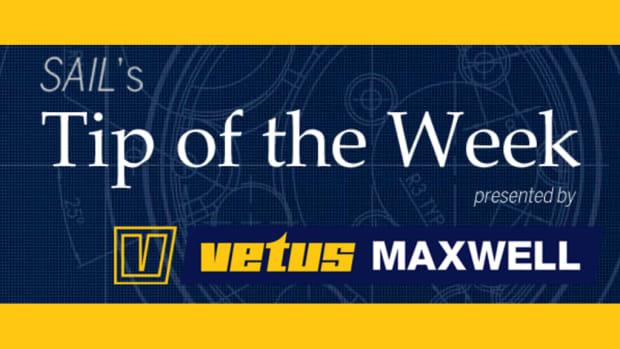 For us, this includes using a Torqueedo T1003 electric outboard. No more messing with gasoline! The versatility and ergonomics of my Maine Cat 30, Planktos, have consistently exceeded my expectations over the last nine years. With six feet of headroom, a heads/shower compartment with stand-up-turn-around comfort, and double tramps for stargazing, it can only be a Maine Cat. Access is forward, not around the cabin sides, which is a huge safety factor when it comes to sail or anchor handling in weather fair or foul. This 6,000-pound boat with 12,000 pounds of floatation calms the soul—I’m never worried about sinking. Aboard Planktos, I have been up and down the East Coast, even on a few modest open ocean passages. On a recent trip, the well-mannered boat made surfing at 10-plus knots enjoyable. Tiring, yes, but not exhausting. Good for an old guy.